When an existing employee leaves or when business is booming, you'll need to employ new staff at your fashion design company. Agency personnel can fill in the gaps, but securing the right permanent staff is important to ensuring the cohesion and morale of your business. However getting staffing levels right can be tricky and finding the right people even more so. The good news is that advertising for staff, at least, is getting easier, thanks to the internet and the specialist press. By filtering applicants thoroughly at this stage you can make things much easier for yourself later on. Before you begin the process of looking for new staff, you'll have to ask yourself if the time is really ripe for expansion. Once you've taken on a new employee it's not all that easy to let them go again, and you won't want to mess people around. However if staffing levels are too high and you're not making enough money to support all those people, your business may struggle to survive. Many entrepreneurs make the mistake of expanding the business as soon as they achieve some success, but this can lead to calamity, especially in an unpredictable business like fashion. It's better to wait - and fill in with agency staff where necessary - until you've achieved a more stable position, with repeat orders and strong ongoing interest. You owe it to your new and existing staff to get this right. As yours is a specialised business you'll be looking for staff with specialist skills. Your best bet is therefore to use specialist websites and internet recruitment agencies which enable specialised searching. Some fashion news outlets have recruitment sections and you can also try advertising on noticeboards in fashion colleges. Advertising in newspapers or at your local job centre is also an option, but in that case you should be prepared for a large amount of correspondence from under-qualified applicants. Don't be tempted to give one of them a chance - a passion for fashion doesn't equate to having practical skills and when you're a young business you won't have the time or resources for in-depth training. This may become an option if you become a dominant force in the industry but until then you need to put your business first. 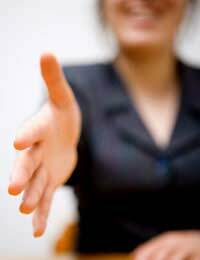 The most important part of selecting the right personnel for your business is the interview process. However if you haven't gone it before it can be the most daunting. If you're worried that your nervousness will show and will make you look unprofessional, get one of your colleagues to sit in on the interview with you, with the option to ask questions. Try practising first on a colleague or friend until you feel comfortable with your role. The most important thing to determine in an interview is the amount of relevant experience your potential staff member has. Experience gained in college can be just as good as experience on the job, but only if it involved the sort of long hours and dedication that you'll need from an employee. If the candidate has worked in another sector in a role which has required these qualities, and also has some fashion experience, they may be worth considering. You'll also need to decide how well you think the candidate will be able to adapt to the specifics of your business, so a bit of variety can be good. Finally, make sure you choose a candidate whom you can get on with, and whom you think has the potential to work well with your existing staff. It would be nice to think that hard work counted much more than personality, but in a small team all the staff need to stick together and support one another, so you can't afford personality clashes. Remember that choosing the right staff member isn't just about find someone who can make a commitment to you - it's about you making a commitment to them, so make sure you find somebody with whom you can do that sincerely. The perfect person may not perform perfectly from the outset - everyone needs a bit of training to help them find their feet - but in the longer term they'll demonstrate their worth.